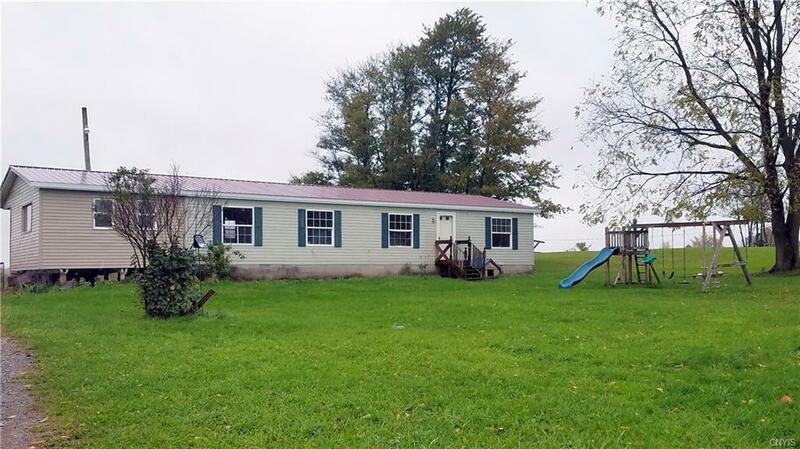 583 Lamb Road, Seneca Falls, NY.| MLS# S1157124 | Coldwell Banker Finger Lakes | 315-789-6768 | Geneva NY Homes for Sale, FINGER LAKES PROPERTIES, Seneca Lake, Cayuga Lake, All of the Finger Lakes. Quiet, surrounded by farm land! Spacious double-wide on Permanent foundation, 1 acre, metal pole barn, 2 sheds, chicken coop! Plenty of open yard to play, room for that garden too! Unheated Florida Room addition could be used as Family room or possible 4th bedroom! Large kitchen with breakfast bar peninsula, open to Cathedraled dining and living rooms! Needs some cosmetic updates and finishing but priced accordingly, and sellers are motivated!